In a follow-up to one of David Stoecklein's most popular coffee-table books, he features the working cowgirls of the West in all their glory. Stoecklein's photographs capture the beauty of these women as well as their grit, whether they are roping, riding, or just relaxing. These cowgirls all have a true zest for life and it shows in these portraits. They work hard and they also know how to have a good time. 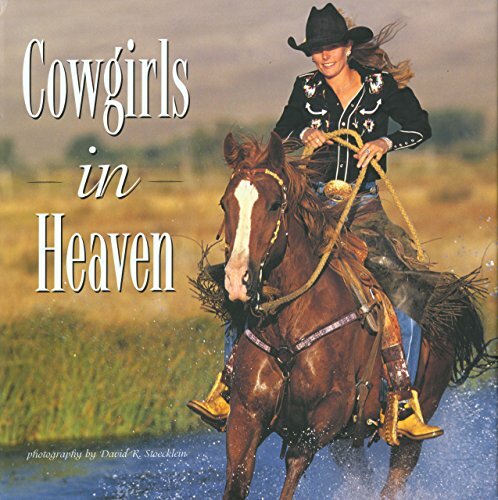 Stoecklein has provided his readers with another glimpse into the rich lives of cowgirls across the West. David R. Stoecklein has worked closely with ranchers and cowboys from every Western state. These friends have shared their generations-old culture to help David document the West on film. Through his work, he has gained a deep understanding of and respect for cowboys and cowgirls. His quest to keep the spirit of the West alive is heartfelt and uncompromising. David spends every free moment photographing cowboys, cowgirls, and all elements of their lives, preserving their heritage and traditions. David resides in Idaho with his wife, Mary, and their three sons.